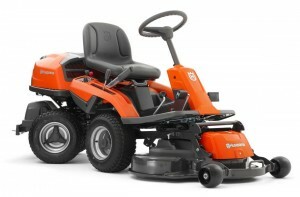 With one of the best selections of garden equipment on the market, Husqvarna are a great choice for any garden machinery or accessories you need. We always have some in stock, with a quick order system to get whatever you need! R 214T AWD RIDER 41"
Husqvarna celebrates 30 years of Husqvarna Rider design and technology with a special edition, perfectly suited for homeowners who want a perfect result even in complex areas of their garden. Based on the best-selling R 214TC, we added All Wheel Drive for extra traction and versatility in all conditions. Articulated steering system gives great manoeuvrability and the front-mounted cutting deck allows easy maintenance and cleaning. 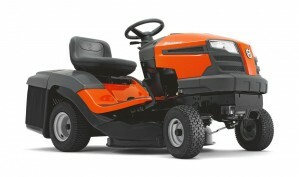 Together with the powerful, efficient V-Twin engine with Choke-less start it ensures hassle-free mowing for many years to come. 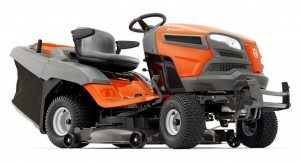 This versatile all year round Rider is a true tribute to Husqvarna’s decades of innovation. 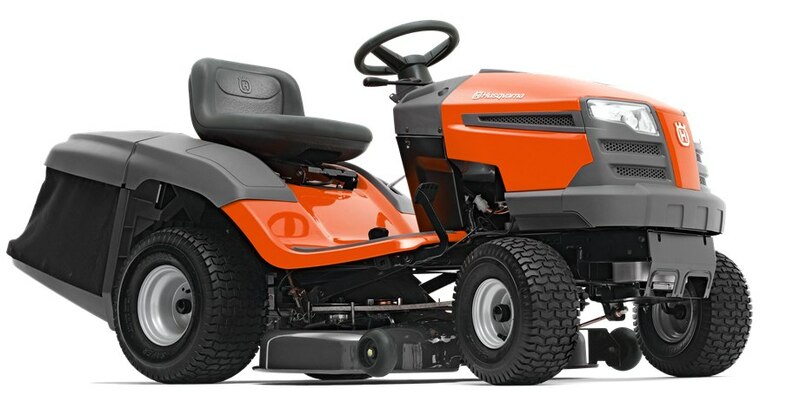 TC 142T is a high-capacity tractor with integrated collection, equipped with a powerful Husqvarna Series twin cylinder engine with choke less start. Pedal operated hydrostatic transmission makes driving a pleasure and adjustable sliding seat, step through mounting and dismounting and clear battery charge indicator improve comfort and ease of use. The spacious integrated collector, featuring robust steel backplate and solid latch system, is easily emptied from the driver’s seat. A wide range of accessories allow year round use. Efficient and compact-sized garden tractor with integrated collector, smart design and ergonomics. Easy to manouevre thanks to its compact format. The collector is easily emptied from the driver’s seat. Can be fitted with a BioClip® plug. 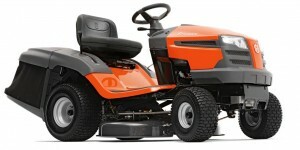 TC 38 is designed for homeowners who want an easy to operate and user-friendly ride on mower with collector. The compact and ergonomic design makes it a perfect choice for mid-sized gardens with narrow passages and tight areas. 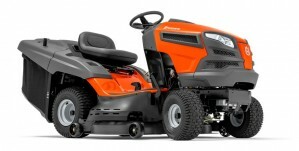 For more details on Husqvarna Tractor Mowers click the logo below to visit their website.